With nine stallions, around 160 broodmares and an undimmed ambition for major success, drawing up mating plans at David and Patricia Thompson's Cheveley Park Stud is a sizeable undertaking. Nevertheless, this year's plans are in place and with highly talented runners and producers due to visit some of the best-credentialed stallions around, both home and away, there are plenty of reasons to be excited about what is in store at the famous Newmarket nursery. The stud's bloodstock manager and head of nominations Matthew Sigsworth talks us through a selection of the most notable matings. A dual winner for Saeed Bin Suroor and a half-sister to three-time Group 1 winner Rio De La Plata, Arabian Beauty joined the Cheveley Park Stud broodmare band at a cost of €270,000 in 2017 and duly supplied her first winner last year when her first foal, Dubai Icon, recorded a comfortable success for Godolphin in October. "Arabian Beauty is from a good family and we have a share in Almanzor, so we'll be sending two mares to him," says Sigsworth. "She's got a nice Kodiac colt, who's a yearling. Holistic is going to Almanzor too, her daughter Diagnostic is a good filly who won on All-Weather Championships Finals Day but we didn't see her again after that. Almanzor is a nice outcross for these sorts of mares being by Wootton Bassett." This winning daughter of leading broodmare sire Pivotal has already produced the Listed-winning Eternally, and there should be plenty more to come as she has a two-year-old sister to that horse named Fervid in the pipeline, as well as a yearling filly by Dark Angel. Last year she was covered by Sea The Stars. "Ardent is from the same family as Believable and she'll be joined by Safina," says Sigsworth. "We've had a bit of luck with Dark Angel with horses like Persuasive and Juliet Capulet. He seems to like a speedy type of mare and Ardent was a good filly over six and seven furlongs, as was Safina, so they should suit him perfectly." Matthew Sigsworth: "what Pivotal's achieved is incredible"
A half-sister to six winners - including the talented trio of Remarkable, Watchable and Infallible, as well as the dam of Garswood - the winning Believable is among the next generation of producers for Cheveley Park Stud and is due to visit one of the most exciting young sires around for her third cover. "Kingman has made a very encouraging start and looks the most promising of last year's first-season sires," says Sigsworth. "Believable is a winning daughter of Irresistible, she's got a yearling filly by Pivotal and is in foal to Siyouni. We're also sending Criteria, who's a full-sister to Alice Springs, to Kingman. "He looks quite a versatile stallion as you can send him a speedy mare or use him to speed a stamina mare up." 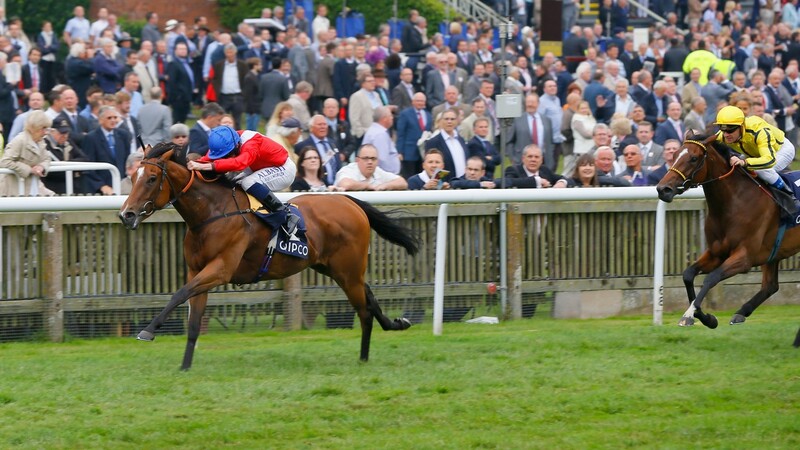 An impressive winner of the Cheveley Park Stakes during a fruitful juvenile campaign, Hooray is the dam of the winning pair Restive Spirit and Boost, who are by Intello and Pivotal respectively. "Hooray is going to go to Acclamation," says Sigsworth. "We haven't quite got it right with her but we thought we'd go with a tried-and-tested route and send her to a speed sire. She's got a nice yearling by Gleneagles and is carrying to Ulysses." The Nell Gwyn Stakes winner, who also finished runner-up in the Falmouth and Coronation Stakes, has proved to be an equally talented producer, as she is already the dam of dual Group 2 winner Mutakayyef, Atalanta Stakes scorer Veracious and French Group 3 victress Intimation. "Infallible is going to Sea The Stars as we're aiming to breed a full-sibling to Mutakayyef, who's a Group 2 winner and Group 1-placed," says Sigsworth. "We've also got a very nice three-year-old brother to Mutakayyef [called Sea Wings] with William Haggas. It's early days but he's been encouraging in his early work. We're very much hoping for a filly after two colts. Sea The Stars is a very good stallion and keeps coming up with the goods." 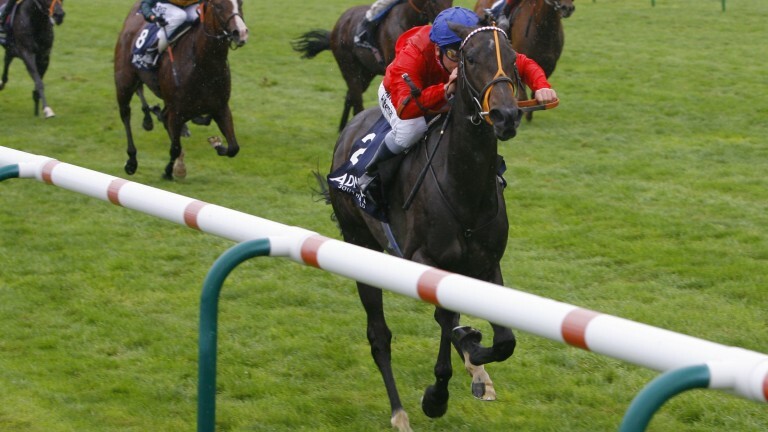 A real flag bearer on the racecourse for Cheveley Park Stud in recent years, Integral won the Falmouth Stakes and the Sun Chariot Stakes, and has been given a serious leg up at the start of her second career having visited Dubawi, Dark Angel and Ulysses. She is now set for a date with another exciting young sire, Muhaarar. 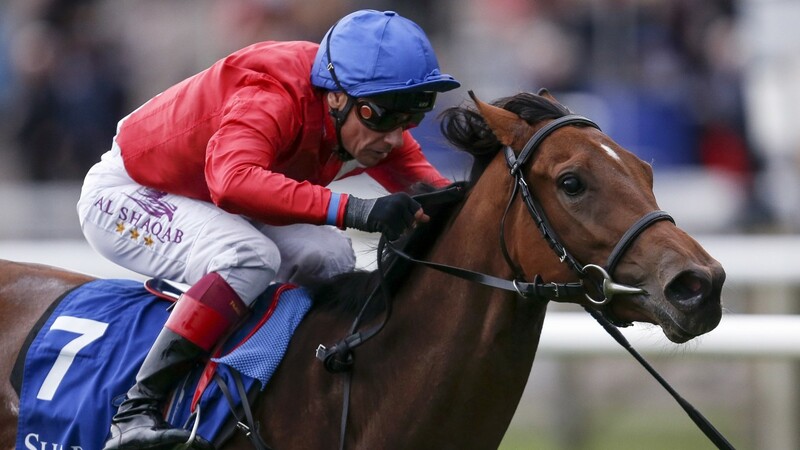 "We're going to try to speed Integral up a bit by sending her to Muhaarar," explains Sigsworth. "Her first foal is a Dubawi colt named Inherent, he's gone into training with Sir Michael Stoute, and we have a nice Dark Angel colt yearling from her too. She's in foal to Ulysses. "We're also sending Zuhoor Baynoona to Muhaarar too, she's a stakes winner herself and is a half-sister to Group 2 winners Hello Youmzain and Royal Youmzain. Part of the reason she's going back to Muhaarar is because we like her two-year-old by him, he's named Custodian and is in training with Richard Fahey." 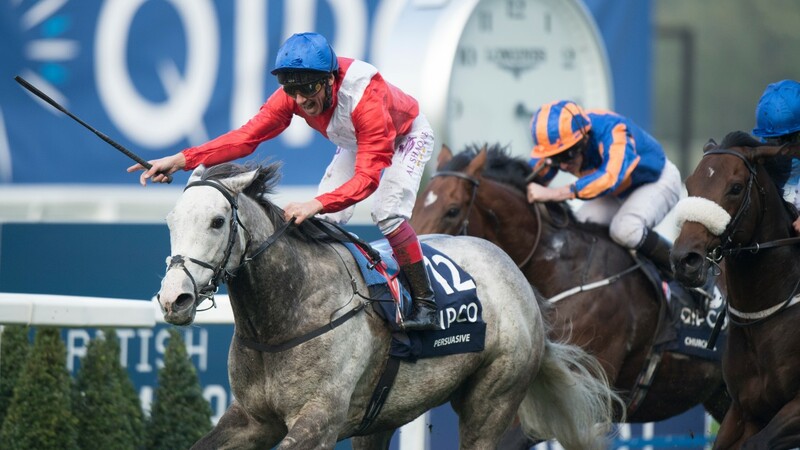 An exciting addition to the broodmare band, Juliet Capulet proved herself a high-class juvenile by winning the Group 2 Rockfel Stakes, and is from the same family as Cheveley Park Stud sire Lethal Force. "She's a young mare and this looked a good opportunity to send her abroad while she's a maiden. We thought Siyouni would suit her well and put some size and substance in there," says Sigsworth. "He can do no wrong at the moment so he'll be a good starting point for her. Dark Angel has had a good start as a broodmare sire too with horses like Havana Grey." The daughter of Dark Angel retired to the broodmare band having brought the curtain down on her racing days with a career-best performance to land the Group 1 Queen Elizabeth II Stakes, and visited Frankel for her debut covering last year. "Persuasive has a gorgeous Frankel filly at foot, she was born on January 18, and as it's such a good fit on pedigree and because we're so encouraged by her foal we've decided to send her back to him again," says Sigsworth. "The foal is a good size, has plenty of bone and looks athletic, very much like her mum." Breeders' Cup Filly and Mare Turf heroine Queen's Trust is one of the most talented recent additions to the herd, and is set to visit Darley kingpin Dubawi again having slipped her pregnancy to him last year. The Dubawi - Dansili cross has already produced nine winners, notably Glorious Journey, Nezwaah and Time Test. "Queen's Trust is a good match for Dubawi physically, and it's a bit of a case of sending the best to the best and hoping for the best," says Sigsworth. "We're sending her mum, Queen's Best, too as she fits with him quite nicely as well." As well as a mighty broodmare band, Cheveley Park Stud is also home to nine stallions. The latest addition to the roster is Prix Morny winner Unfortunately, a son of Society Rock who can expect strong home support from his new custodians. 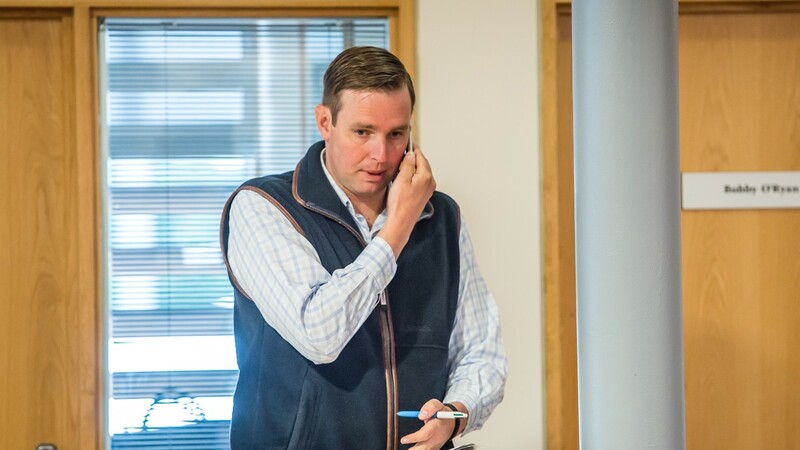 "We always support all our stallions, especially our first-season horses, and Mr and Mrs Thompson will be sending 16 mares to Unfortunately," says Sigsworth. "He was a top two-year-old so he'll be covering some speedy, precocious mares and hopefully that'll mean he gets some nice, early runners on the track. "He'll be covering Catwalk, a Pivotal half-sister to Sir Prancealot, Pious, the dam of Supplicant and Penitent, and Red Turban, who's from the family of Group 1 winner Advertise." 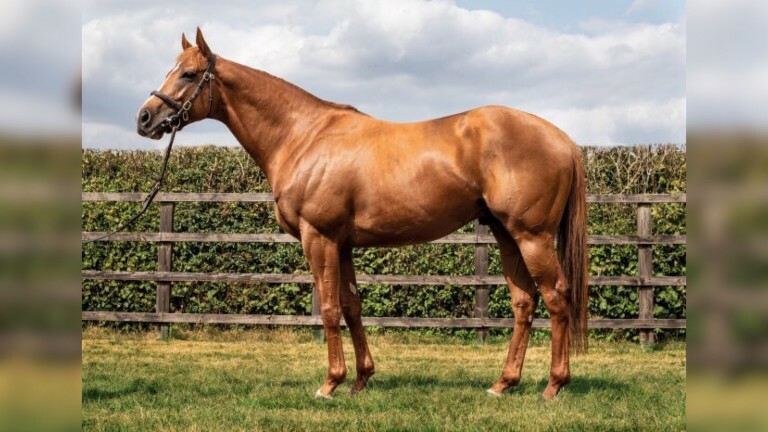 Unfortunately joins dual Group 1 winner Ulysses in the stud's stallion unit, and the son of Galileo and Oaks winner Light Shift is set for some heavyweight members for the second year in succession. "We're throwing a lot of support behind Ulysses again and we've been really encouraged by the foals we've seen by him," says Sigsworth. "It's still early days but he certainly seems to be stamping them at this stage, which is great to see. "He covered a fantastic first book, he had eight Group 1 winners and the dams of six Group 1 winners, and it'll be a similar story this year. He's got Dublino, she's a Grade 1 winner in America, Echelon - a Group 1 winner and producer, Heaven Sent, Intimation - a Group 3-winning mare by Dubawi and a half-sister to Mutakayyef, and Mesa Fresca - who's the dam of Grade 1 winner Harmonize. "The Niarchos family will be supporting him heavily too, with eight mares due to visit Ulysses at the moment. There's been plenty of outside interest too with Meon Valley, Hascombe and Valiant Studs and Juddmonte - who are sending Breeders' Cup winner Banks Hill - using him. In terms of quality, I don't think there'll have been a better first book last year than the one he covered." Those young guns now stand alongside the incomparable Pivotal, sire of 28 elite winners and last year's champion broodmare sire. "Pivotal is still going strong - he covered 48 mares last year and his fertility is still just under 90 per cent," says Sigsworth. "He was champion broodmare sire last year with ten Group or Grade 1 winners and had two individual Group 1 winners as a sire as well. "We've got 13 due to go to him this year. He's an absolute phenomenon and what he's achieved is incredible, especially from relatively humble beginnings. Like everyone, we'll be desperate for a filly or two! Angel Vision, a daughter of Islington, will go to him as will Group 1 winner Allegretto."